Great news: Morgan’s Yearbook has a new publisher! Introducing Morgan’s Yearbook – the 2018 edition is still available ……. 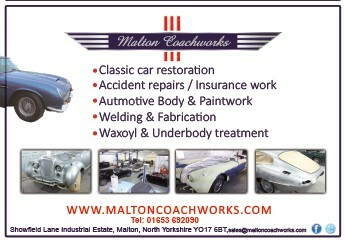 Looking for a classic car show, steam rally, vintage motor cycle run or autojumble? 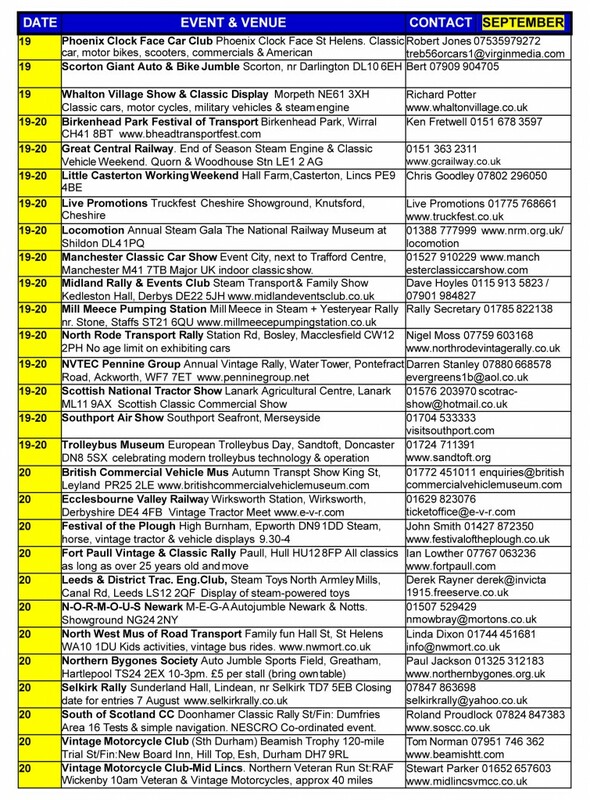 Maybe a vintage tractor, commercial vehicle or bus display? 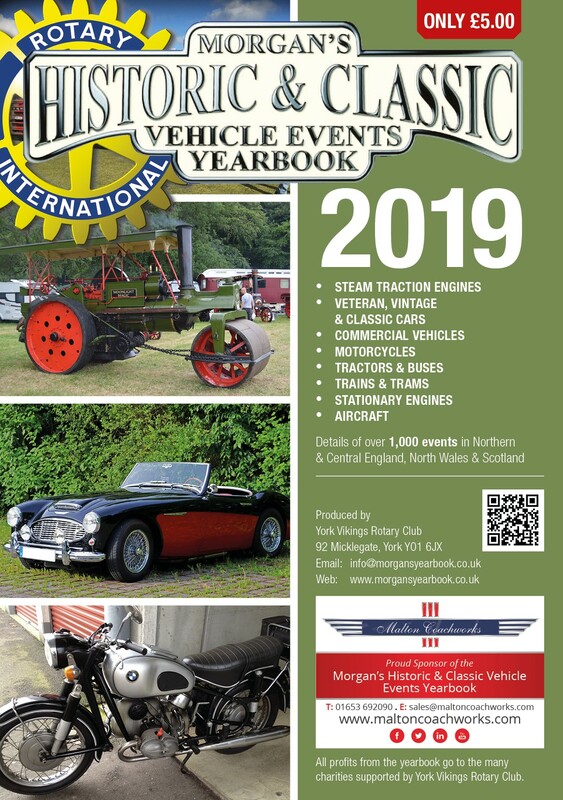 Information about all these can be found in Morgan’s Historic & Classic Vehicle Events Yearbook, along with stationary engine, aircraft, railway and other ‘heritage’ events throughout the area covered: central/northern England, mid/north Wales and the whole of Scotland. 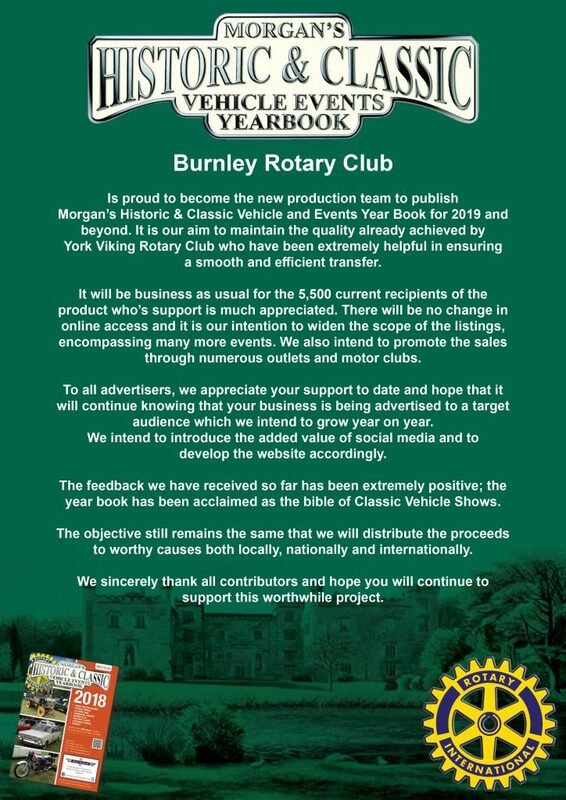 The 2018 edition is now being distributed by Burnley Rotary Club (on behalf of York Vikings Rotary Club). 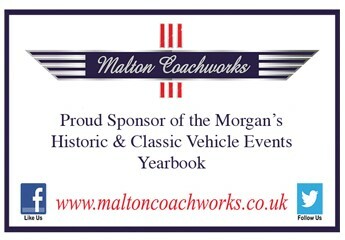 As a much appreciated service to enthusiasts and event organisers, Morgan’s Historic & Classic Vehicle Events Yearbook has by far the most comprehensive listing of ‘classic’ events. 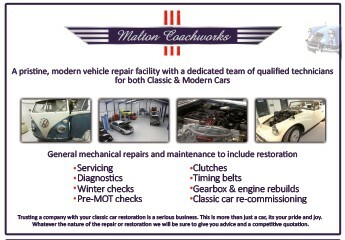 All profits are still devoted to charitable causes carefully chosen by the Rotary organisation. The yearbook currently costs just £5 including free postage and packing (within the U.K. only). 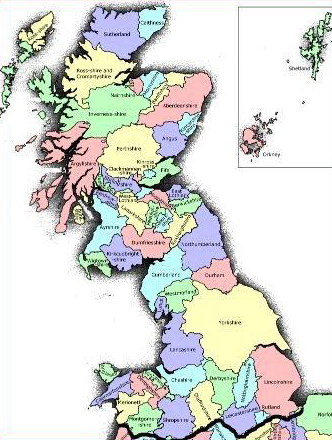 Why publicise your event here? To order the current Yearbook, please click on the Morgan's Yearbook front cover above.